First published in France in 1825, this remarkable book reflects a new era in French cuisine: the advent of the restaurant and the freedom of the bourgeois to eat out. 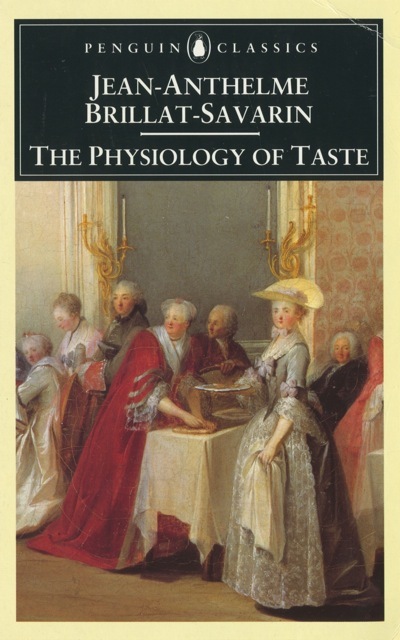 Here too are Brillat-Savarin's views on taste, diet, maintaining a healthy and attractive weight, digestion, sleep and dreams, and on being a gourmand. Brillat-Savarin's book amply proves his own maxim: "The pleasures of the table belong to all times and all ages, to every country and every day; they go hand in hand with all our other pleasures, outlast them, and remain to console us for their loss."